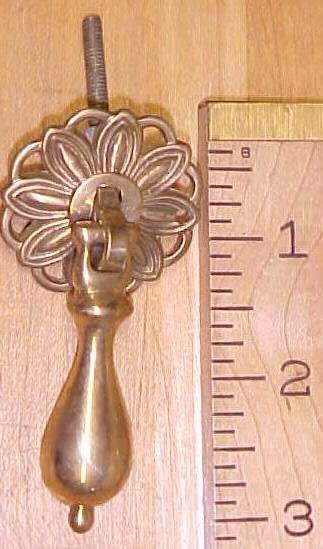 This is a nice hinged type drawer pull, all the same style and size, all made of cast brass. These are hinges in the narrow part of the casting, so you can flip them up and pull the teardrop shaped section. The teardrop section is attached to a threaded rod that has one nut on it, (you may need another to adjust it to your drawer properly) with the single mounting screw design. 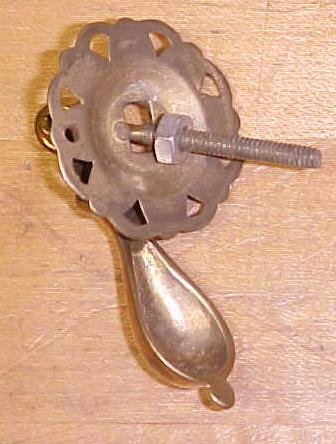 The mounting screw pilot is on center of the body in both directions. The pull round part is 1.38" diameter and the overall length with the teardrop in the down position is 3". Very nicely made handle pull overall, strong and solid. A good, sturdy, and nice looking drawer pull! Price is per each x the quantity shown in the quantity number listed. 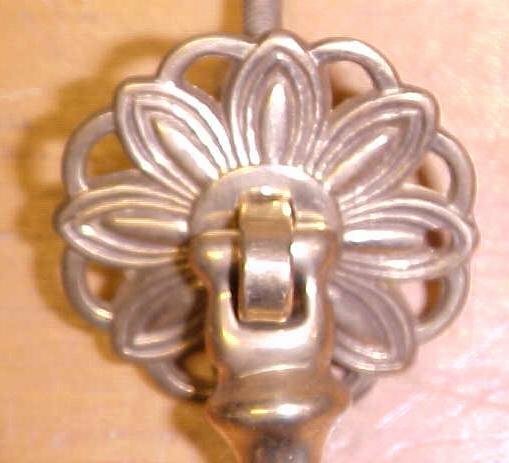 Items Similar To "Antique Drawer Pulls Ornate Hardware Brass Hinged"